Armis AR7X TG RGB New! 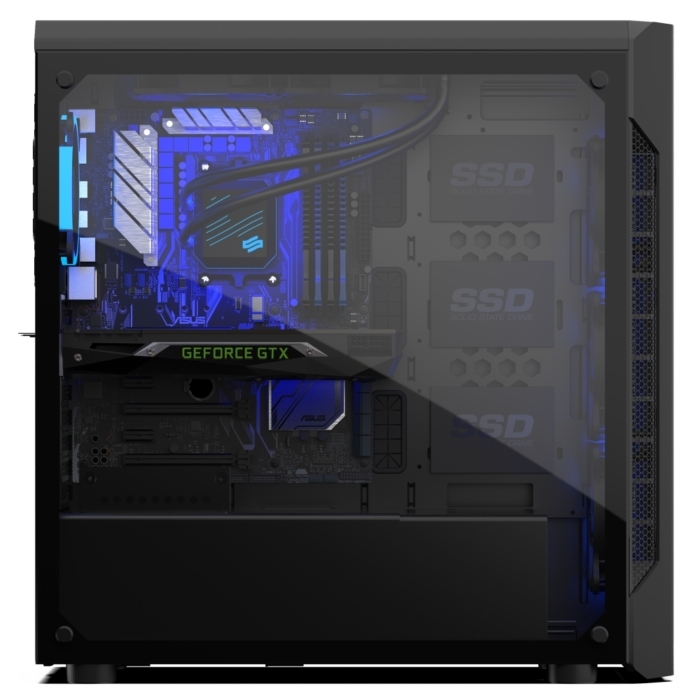 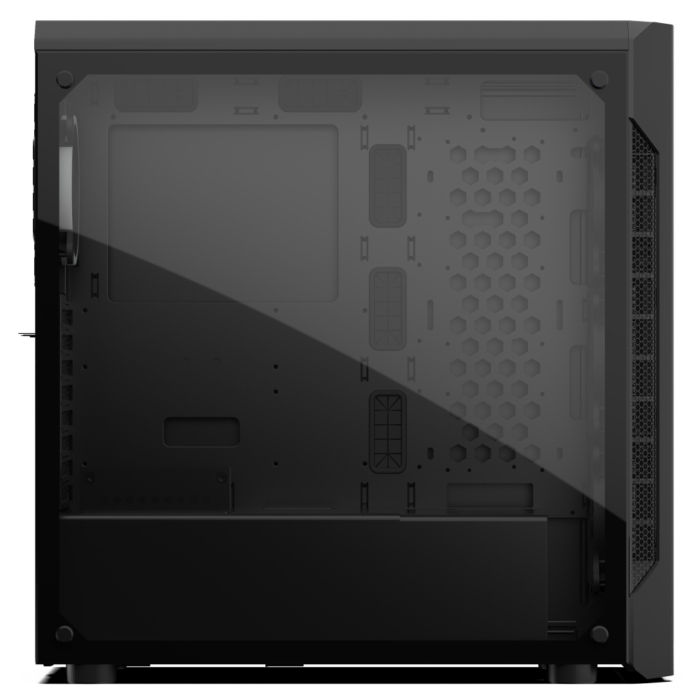 SilentiumPC Armis AR7X TG RGB is equipped with two trendy tempered-glass panels. 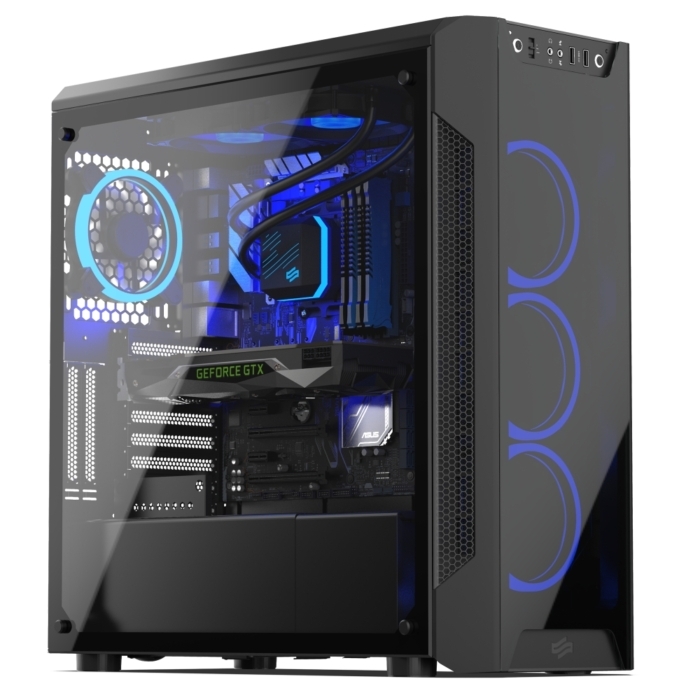 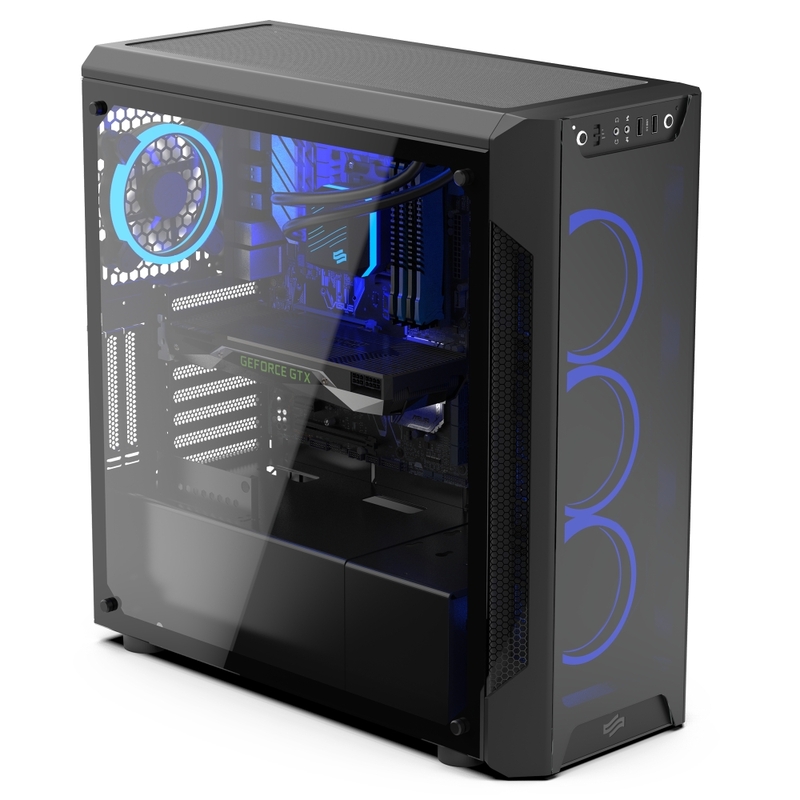 Both the tinted front and the clear side panel are made from tempered glass and perfectly match the 4 built-in RGB-enabled SilentiumPC Sigma HP Corona RGB 120 mm fans. 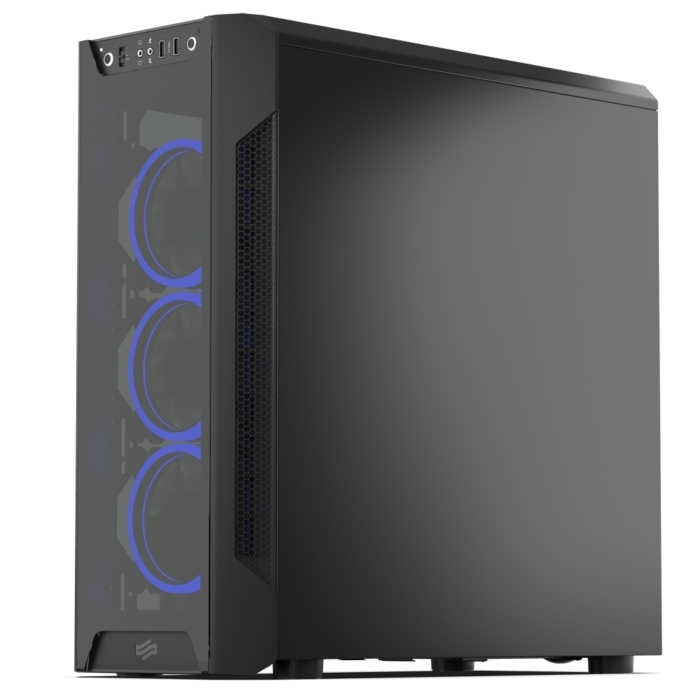 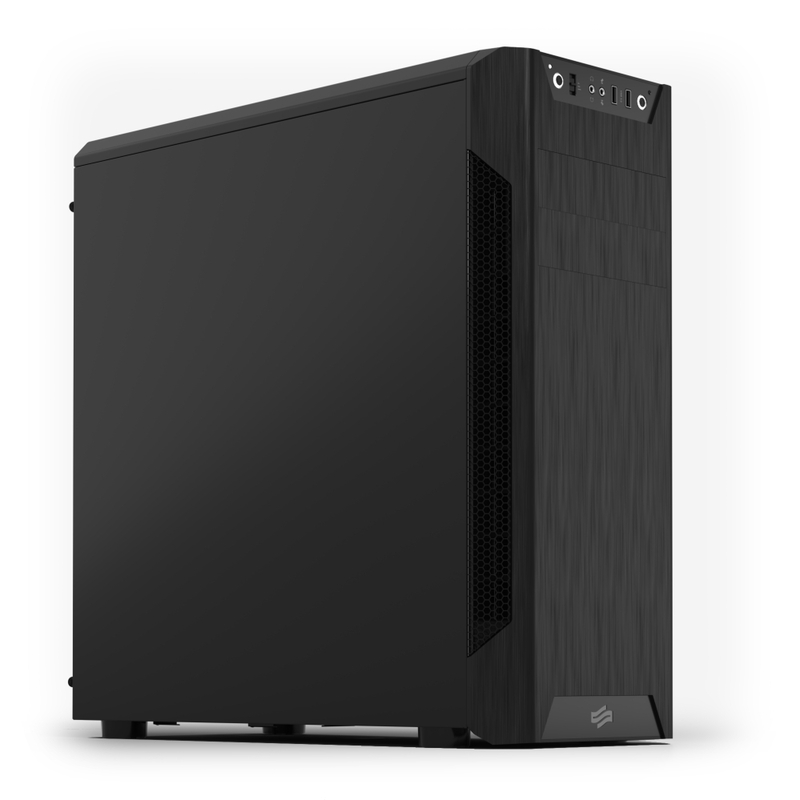 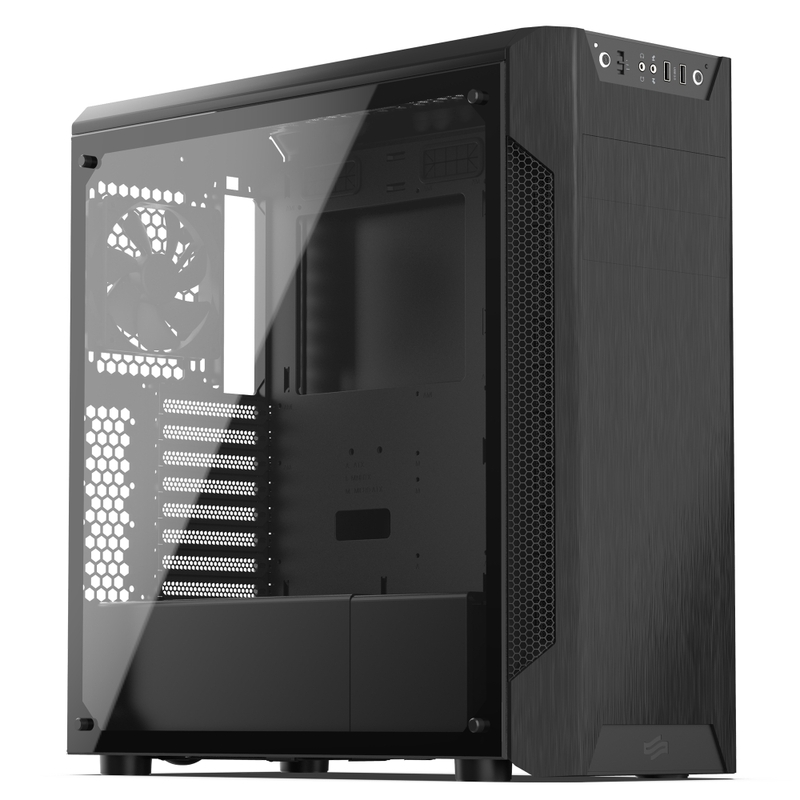 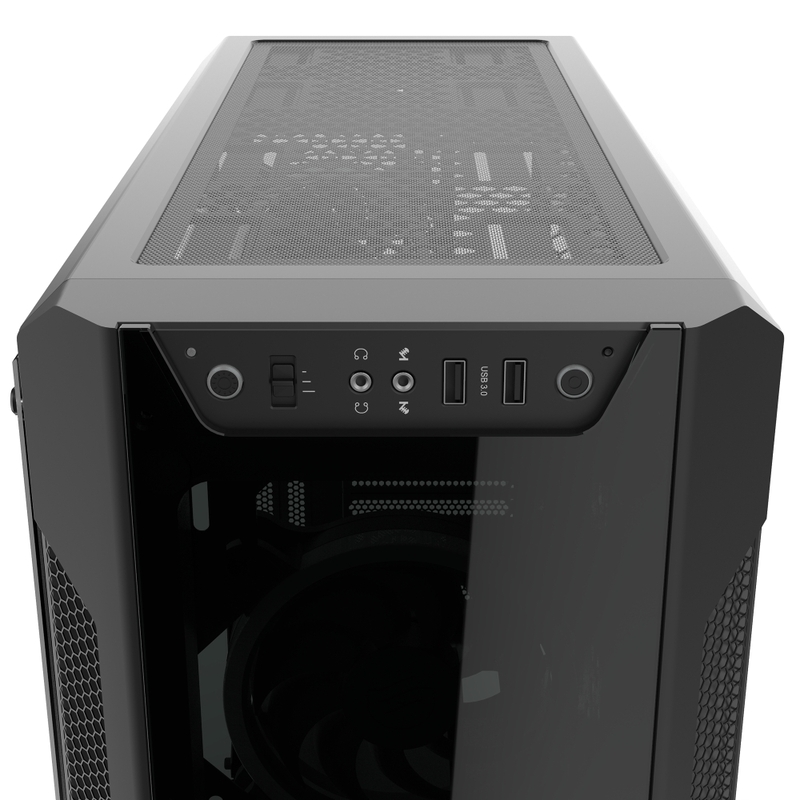 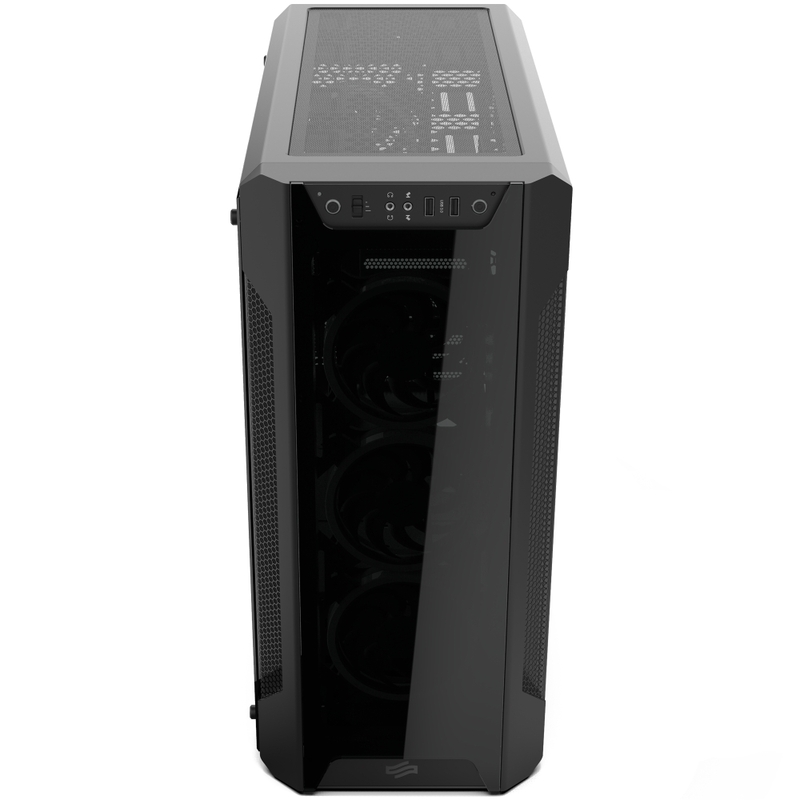 SilentiumPC presents a completely revamped Armis AR7 PC Chassis packed with high-end features and first in line to omit the Optical Disc Drive bays completely. 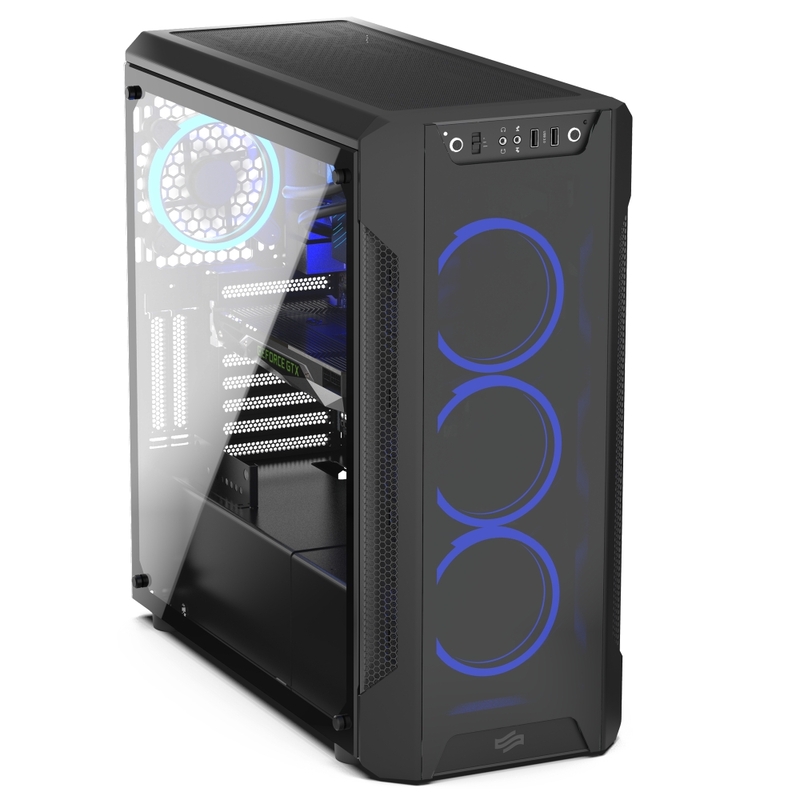 The new Armis AR7X TG RGB combines all the advantages of the Armis AR7 series and elevates them to the next level. 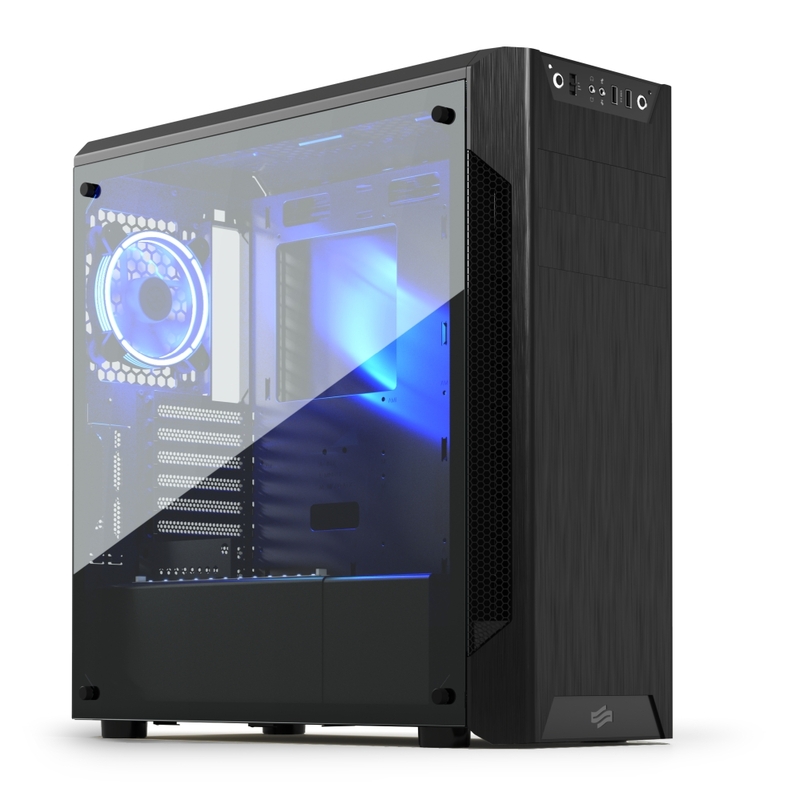 Both the tinted front and the clear side panel are made from tempered glass and perfectly match the 4 built-in RGB-enabled SilentiumPC Sigma HP Corona RGB 120 mm fans. 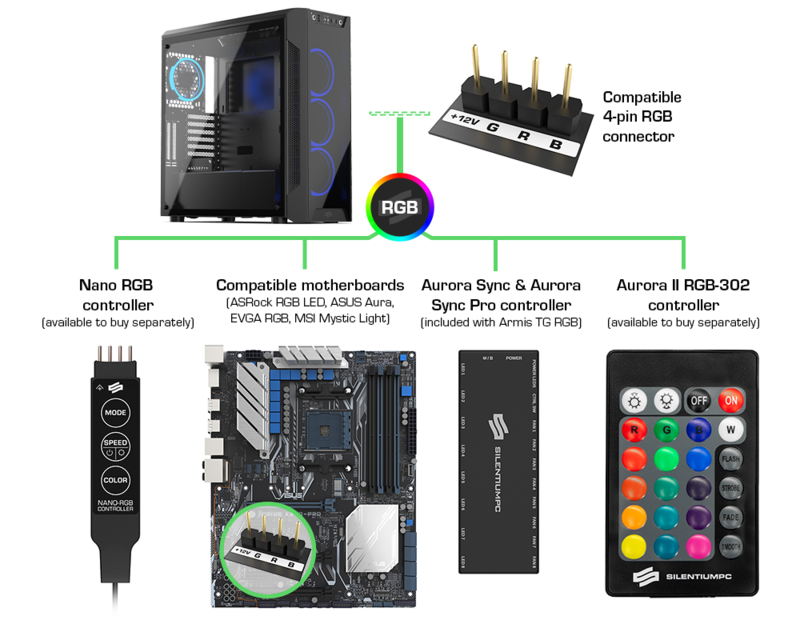 Features like the airflow-oriented design, support for high-end components, vertical mounting of graphics cards and the unique I/O panel make the Armis AR7X TG RGB a great choice for virtually every system build, especially when considering the low price point. 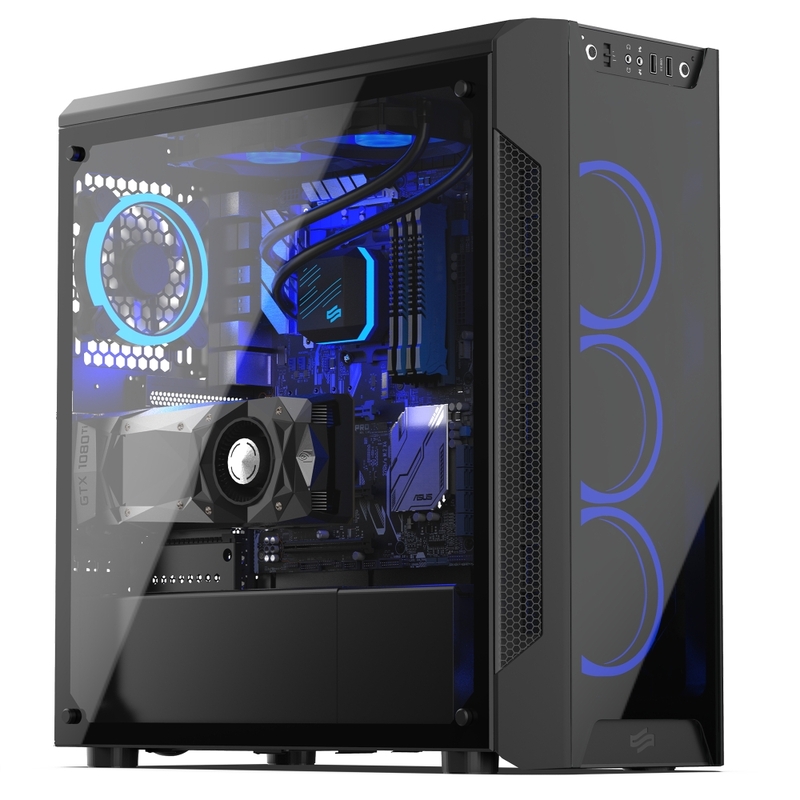 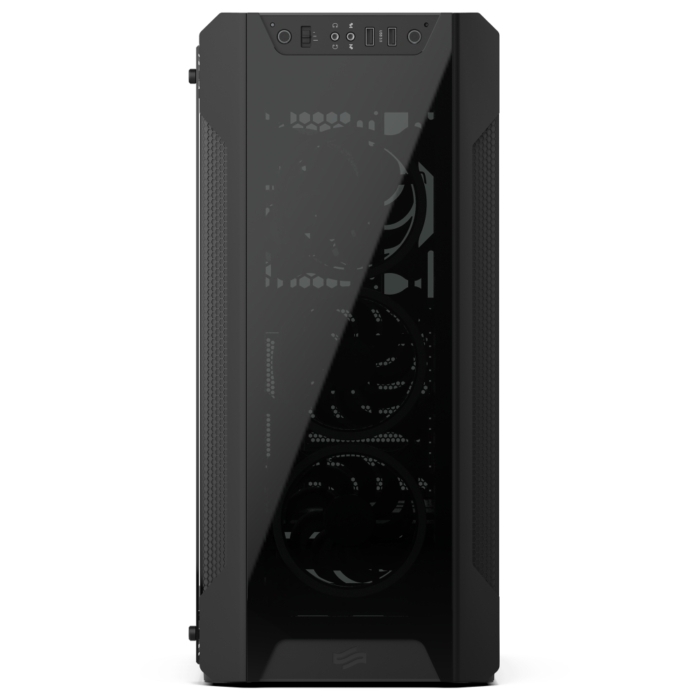 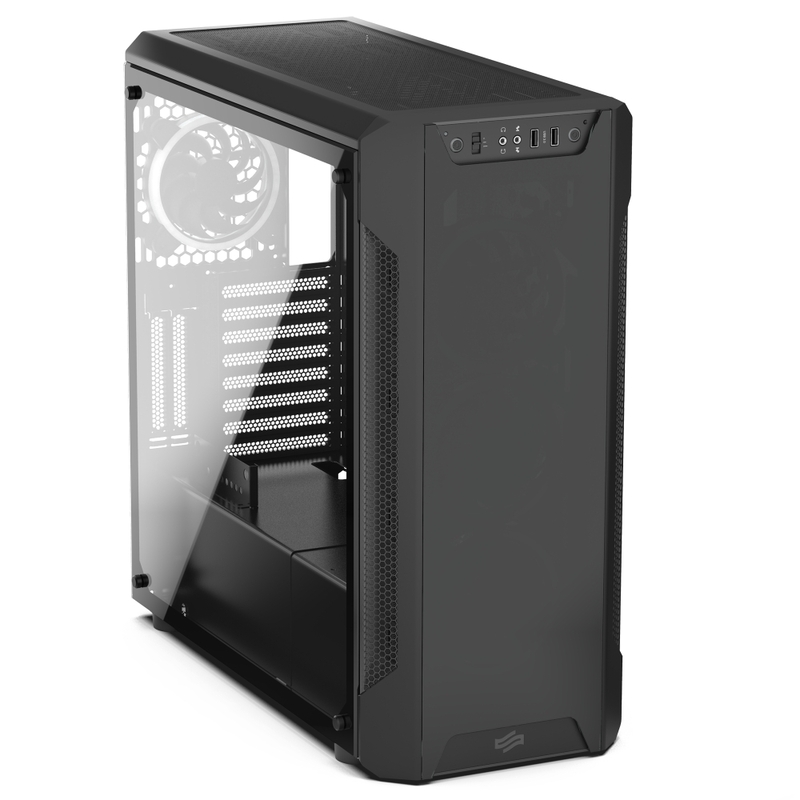 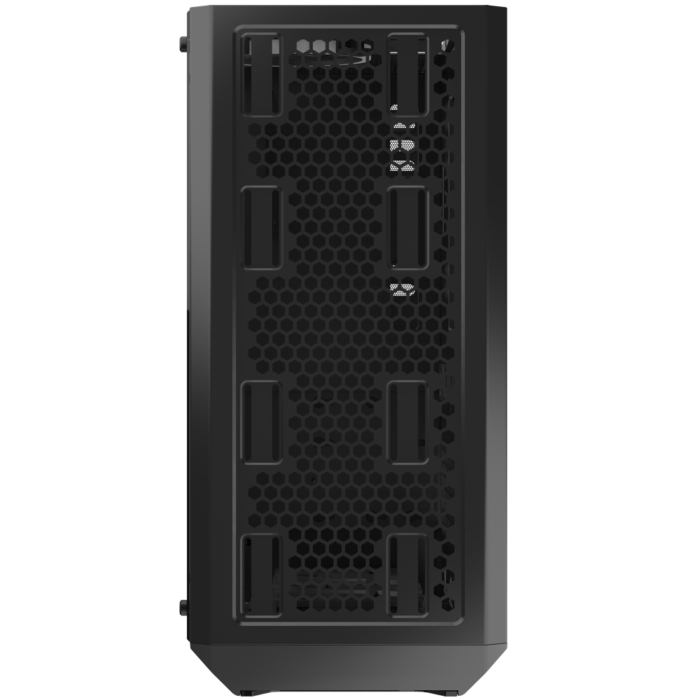 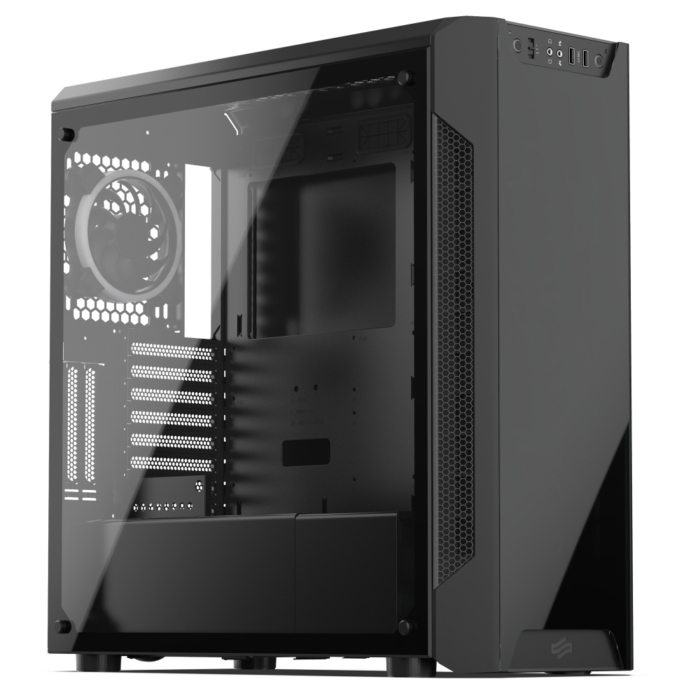 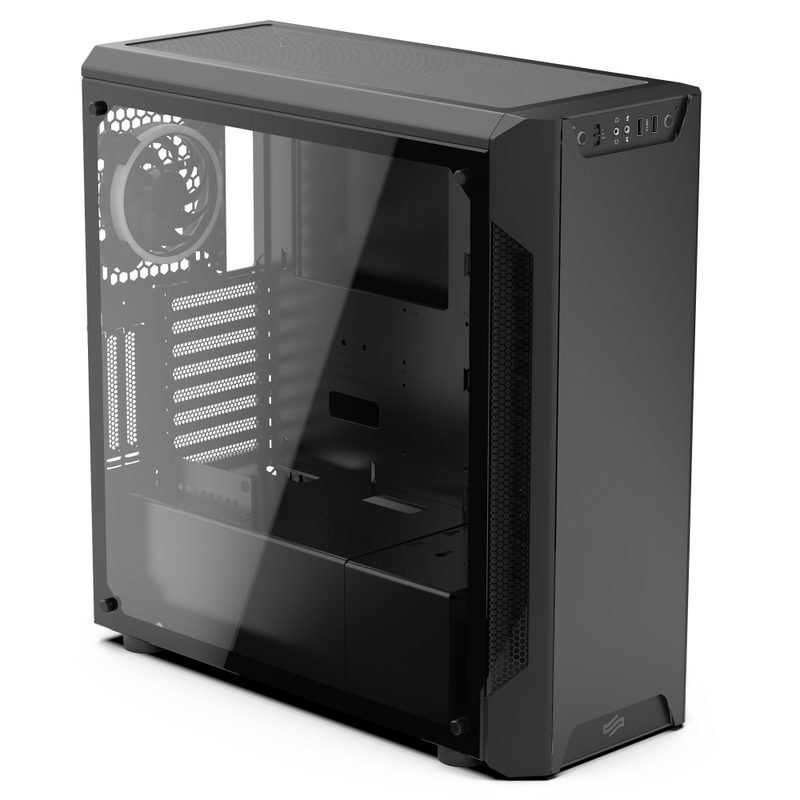 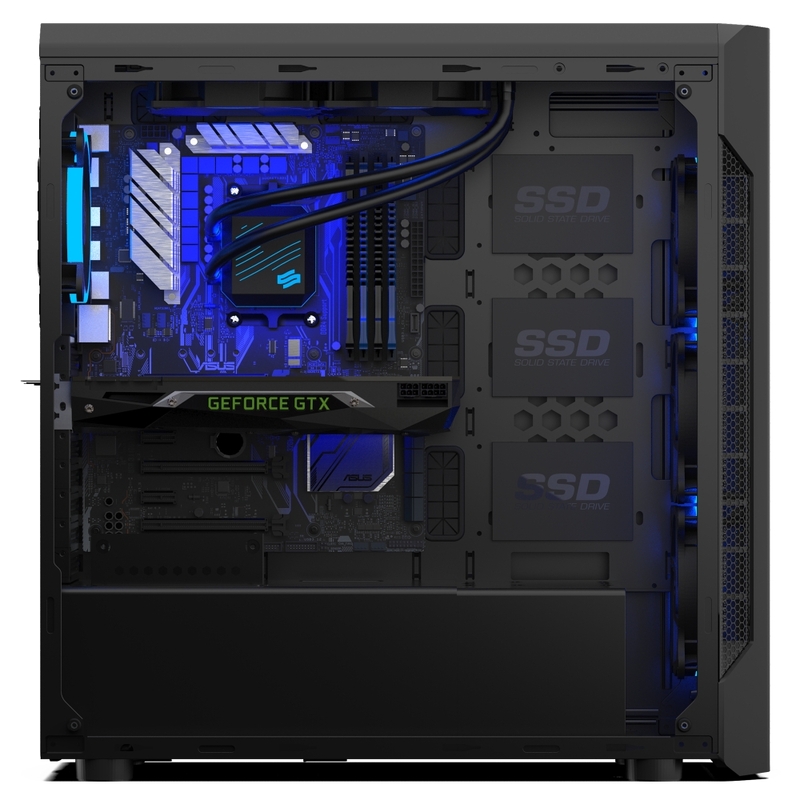 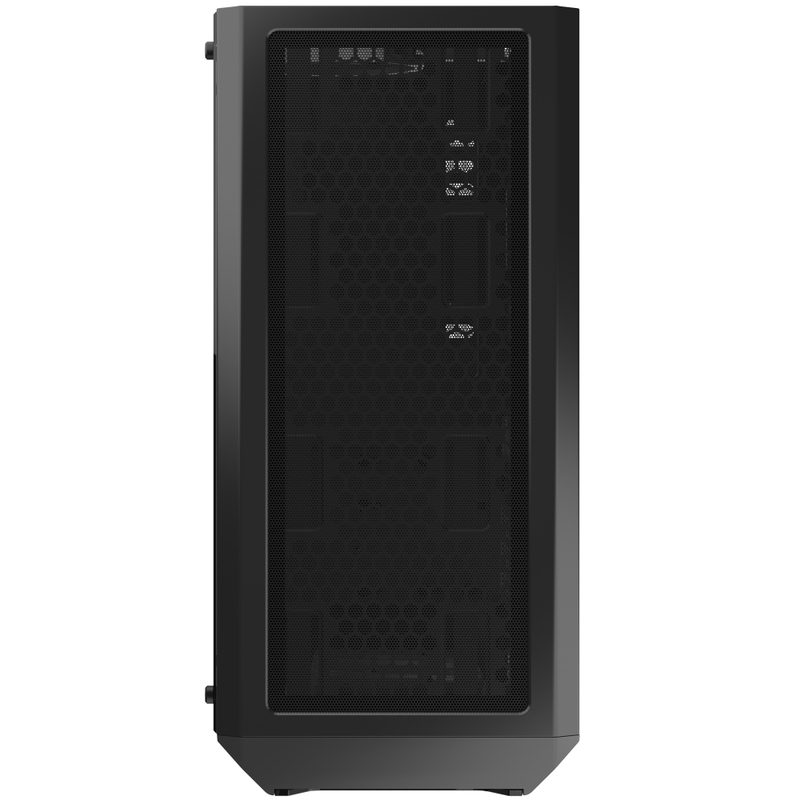 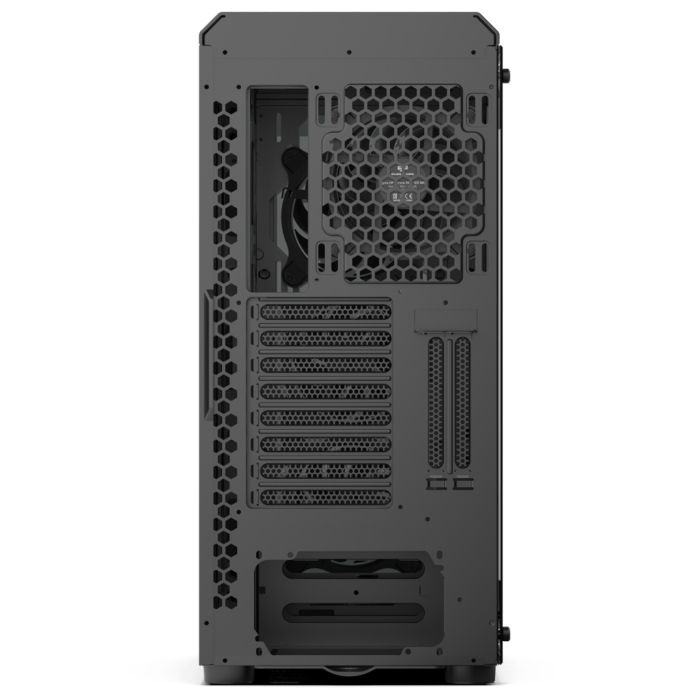 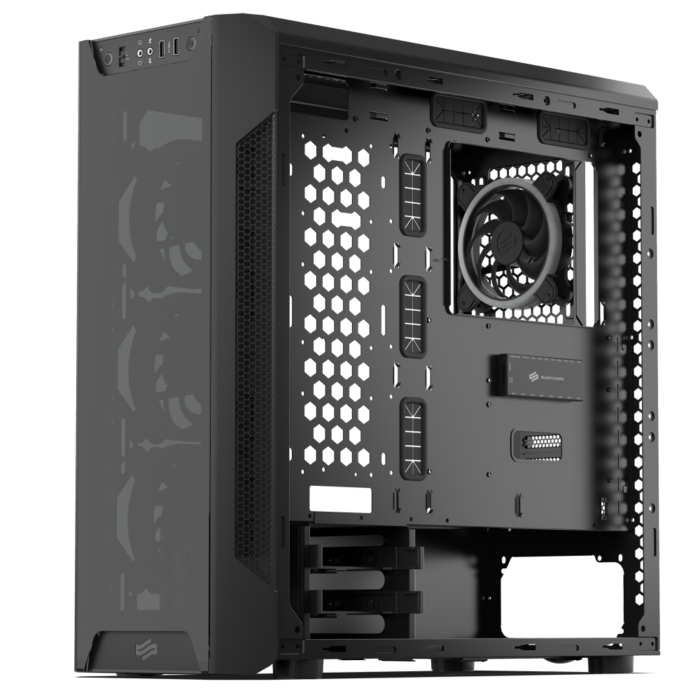 Modern construction of SilentiumPC SilentiumPC Armis AR7X TG RGB case prioritizes air flow which enables very effective cooling of processor, graphic card and other components installed. Pre-equipped option of the case has four Sigma HP Corona RGB 120 mm fans, however, users can mount three additional ones. 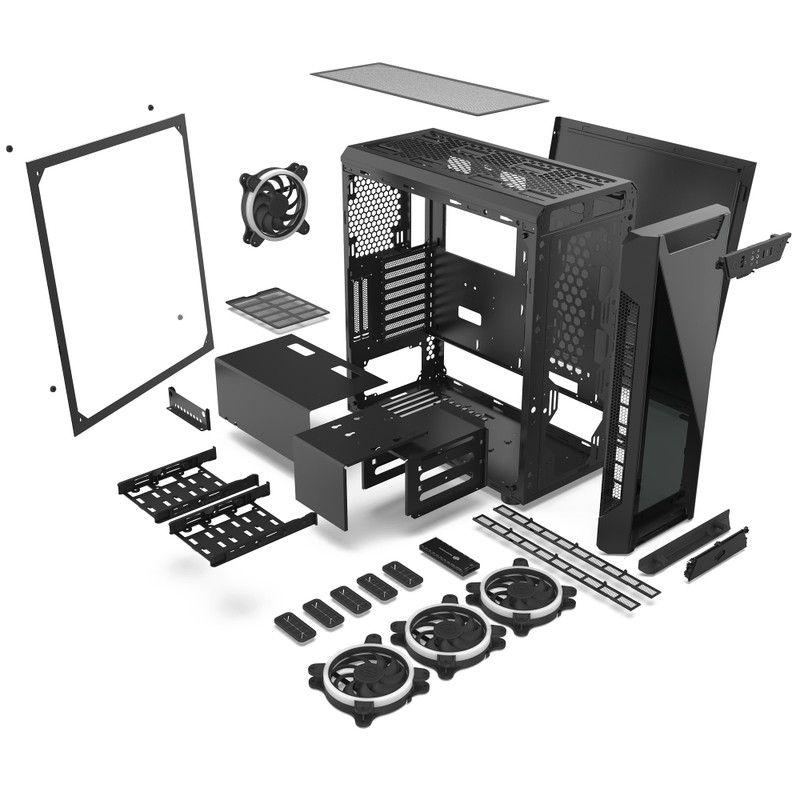 All of them can be replaced with 140 mm fans. 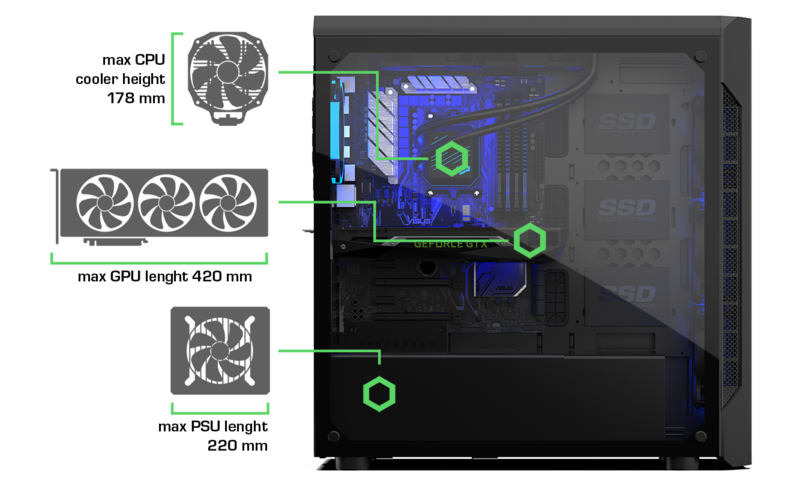 Four, built-in RGB-enabled SilentiumPC Sigma HP Corona RGB 120 mm fans included with high performance rotor and RGB lighting illuminating front tempered glass panel. Armis AR7X TG RGB is equipped with four Sigma HP Corona RGB 120 fans, with built-in 18 RGB LEDs inside ring-shaped casing that enable the user to choose from any colour to create stunning lightning effects. I/O panel in SilentiumPC Armis AR7X TG case is adjustable and can be repositioned from the top to the bottom for convenient access to USB/audio ports and fan/illumination switches. SilentiumPC Armis AR7X TG RGB's dual-chamber internal layout dramatically improves both airflow and cable management. Added advantage is how clean and seamless the complete PC system looks with very little effort. 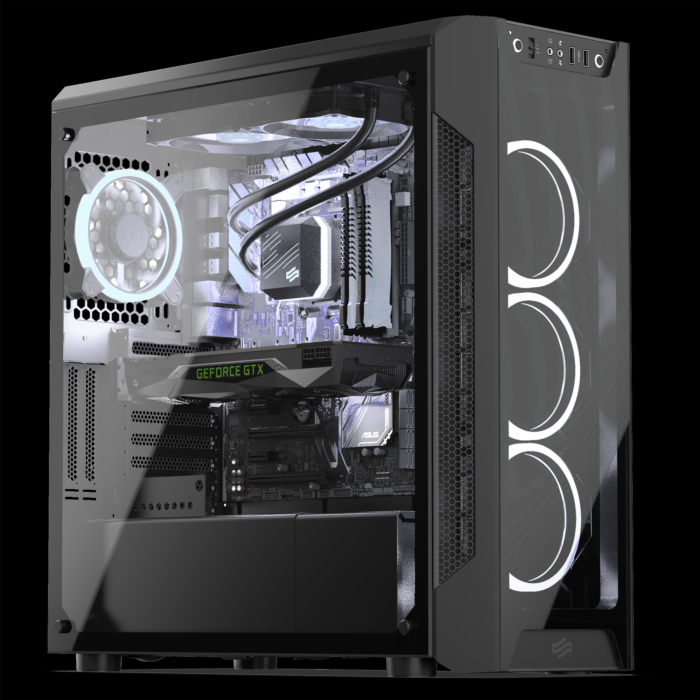 Armis AR7X TG RGB offers the option to mount the GPU vertically, close to the tempered glass side panel, just to show off. Two 360/280/240 mm radiators can be simultaneously mounted on front and on top of the case as well as third 140/120 mm radiator in the back. There are four intake dust filters included to keep interior of the SilentiumPC Armis AR7X TG RGB dust-free. Two convieniently mounted modern USB 3.1 Gen 1 (3.0) connectors on front panel and built-in fan controller with three levels of voltage affecting fan speed: 12 V (high speed mode), 7 V (medium speed mode) and 5 V (low speed mode). 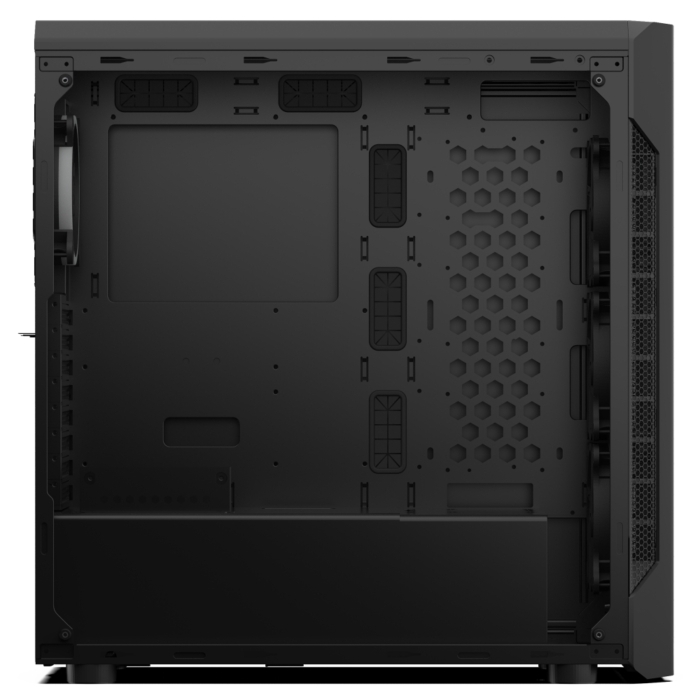 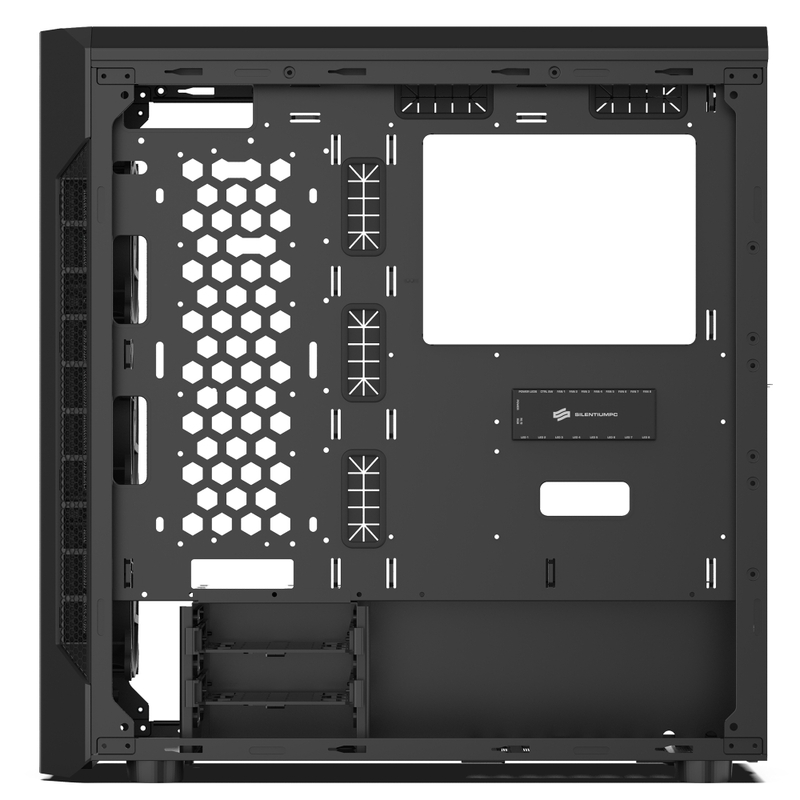 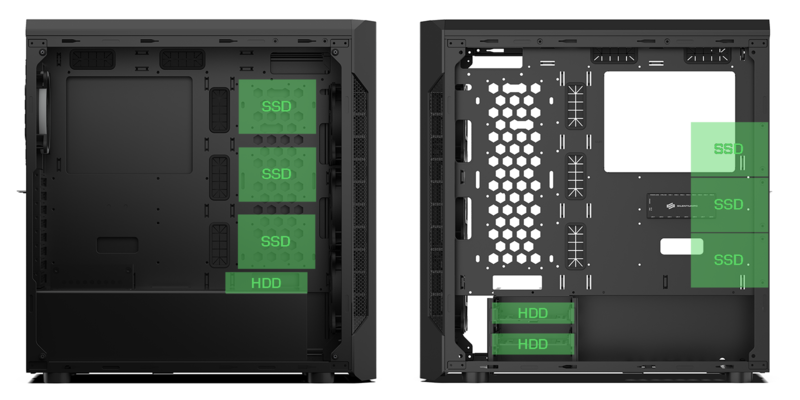 SilentiumPC Armis AR7X boasts numerous cut-outs in the motherboard tray allowing for more efficient cable management which improves airflow inside the chassis. Armis AR7X TG RGB comes with advanced fan controller with ability to control 8 fans and 8 LED devices. 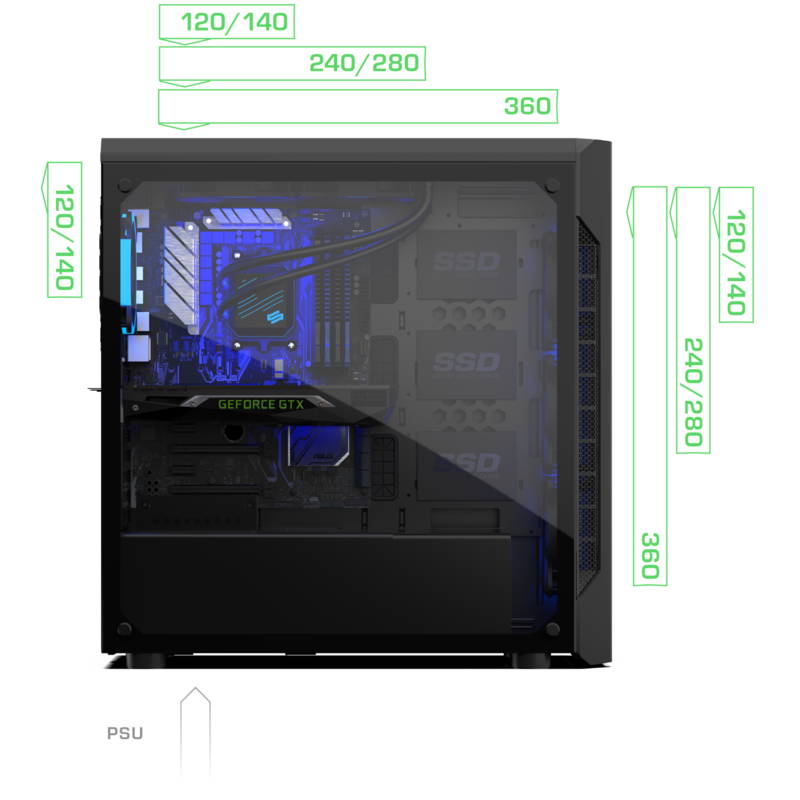 It's possible to change colour mode directly from software made by motherboard manufacturer through 4-pin RGB header.